The case of Ethan Couch, the Texas 18-year-old who was behind a fatal drunken driving wreck in 2013, will be moved to adult court, a Texas judge ruled Friday, meaning that he could face jail time, the New York Post reports. 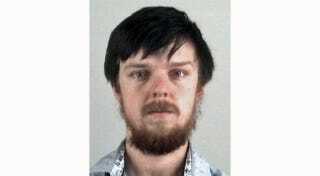 Couch, who was 16 at the time of the incident, used the "affluenza" defense during his trial in juvenile court, claiming that his parents' wealth had never allowed him to face the consequences of his actions. Friday's ruling now means that Couch may finally be facing some consequences, since he could face up to 120 days in jail before going on to finish the 10 years' probation he originally got in the drunken driving case. If he violates probation again, he could face up to 10 years in prison for each of the four people who lost their lives in the horrific crash. Couch, along with his mother, Tonya Couch, is accused of fleeing to Mexico in early December after the appearance online of video that appeared to show the teen at a party with alcohol, the consumption of which would have violated his probation. The mother-son duo were apprehended in Mexico Dec. 28, and Tonya Couch was quickly deported to the United States. Ethan Couch fought his deportation before dropping the case and returning to Texas in January.